Numerous fitness trackers exist in the world, giving you a plethora of options to choose from when looking to select yours. If tracking steps and calories burned is your goal, the simplest fitness trackers on the market will do. When you’re looking to track much more, an option like the Misfit Shine 2 may be better suited to your needs. Sleep, fitness, and even swimming can all get monitored with this device. A waterproof smartwatch that allows you to discover swim distance and laps completed is what you’ll get with this handy tool, plus so much more. Similar in appearance to the original Misfit Shine, the misfit shine 2 has a larger face and provides a versatile option for both men and women. The original had a slender and dainty look that appealed mainly to females. With the different color options, men can choose to wear this tracker as well. While many fitness trackers appear on the market, the shine 2 has a strong rating from users who enjoy having plenty to control with an easy-to-use interface. Plenty of other options are difficult to manage and not very user-friendly. The light indicators also help keep users on track with their fitness routines, which pop up with just a touch of the screen. The gadget offers a sleek design that comes in three different colors. Choose from black, silver, or rose gold to get the look you want. The rose gold option comes with a black band, while the other two are almost completely the colors indicated. It also possesses a long-lasting battery you only have to replace every six months or so, never having to worry about charging it up for daily use. It’s made of an aircraft-grade aluminum that is highly durable and built to last, so never worry about drops or damage. Swim, fitness, and sleep are what you can track with this device. Use the misfit shine 2 swimming watch to track laps or swim distance, or allow it count the number of steps you’ve taken or the calories burned. Both light and heavy sleep patterns get recorded as well. Paired with the Misfit app, you can get a plethora of insightful information if you want to track your data and use it your advantage. It presents the information in an easy-to-understand manner with helpful charts. Get details on your activity and your sleep patterns and use it to set better sleep and fitness goals and improve your lifestyle. In the box you’ll find the tracker disc that gets added to a band. With the battery already installed, the device should light right up. The quick-start guide helps walk you through set up while the remainder of the box includes the wrist strap, back brace for the strap to keep the device in place, and a clasp to keep it even more secure. Tracks swim distance and laps with high accuracy. The battery lasts up to six months with no need for recharging. Records sleep patterns for a better night’s rest. Allows vibration alerts for text and call notifications. The device can pop out of the band too easily. It doesn’t track motion as well while riding a bike. Requires Internet to sync to devices. Many fitness trackers come equipped with multiple modes and countless features that make figuring them out difficult. If you’d rather get right to business instead of fumbling with features, then the Misfit Shine 2 is right for you. Several fuss-free features make the device easy to use and manage for anyone. The non-charging premise of this tracker means you won’t have to waste time charging the device each day. The battery lasts for a good six months before you have to worry about replacing it. Wear it every day to help track your sleep, steps, or calories burned and you still won’t run out of power for many months to come. The device possesses the ability to send vibration alerts anytime you have a movement reminder or alarm set. You can even get text and call notifications through it if you set it up to do so. It connects to multiple household devices so you can have all the data you need come to one place. Not everyone likes to get up and move every day, but it’s the healthiest thing for the body. If you find yourself sitting often, you can use the movement reminder feature to get yourself motivated to get up and going. The watch will light up and send a notification stating that you need to get moving. It will remind you that you’ve been in one place far too long and help you see that you need to complete an activity that boosts your heart rate. As a durable swimming watch, the misfit shine 2 keeps lengthy records of all laps and strokes taken. You won’t be able to keep track for long in your head, so having a device available to do the job for you helps a considerable amount. See the pace you swim at, the distance you cover during the duration, and even the full length of your swim all with your waterproof tracker. One notable feature of the shine 2 is its validation of accuracy by Speedo’s Aqualab. You don’t have to worry about subpar results with how accurate the data is through this industry-leading company. You can set your swim time and let the device count down until you’ve reached your goal, or allow it to monitor the distance you’ve swam altogether. It even counts laps for you, but you have to set whether you’re in a 25 or 50 meter pool if you want to give the best results. Use the SpeedoFit app to get the most for your money. You receive insight into your swimming routine to see what better choices you can make. You should always have goals in fitness, and monitoring the work you put in now helps the app see how much more you could accomplish if you try a little harder. Swimming data isn’t all this device offers. Use it to track your sleep as well if you want to see what your patterns typically are throughout the night. Both deep and light sleep gets monitored so you can tell when you’re hitting the REM stages and when you struggle to snooze. An extended battery life makes the shine 2 a solid choice for fitness trackers. Many have to get recharged after a few hours of use. The shine 2 keeps on ticking for months to come as long as you shut off some of the data services throughout the day. Do not leave it running all day and night if you want to extend the battery life and ensure it runs for the full six month timeframe. Once the power does run out, it doesn’t mean your device is dead and gone. Buy another battery and you’ll get six more months of life out of it. The smart button connectivity allows you to pair the device with most others inside your home. Let it connect to the app on your smartphone or access your tablet or computer if you want to receive all possible communication alerts to the watch instead of the others. With the push of a button, you can connect all items in an instant. Texts, calls, and other alerts will start coming through for you to check right from your wrist. You can even have it work in the opposite way by using the device to control music, lights, and notifications within your home and on other smart devices. Long-Lasting Battery – Many fitness trackers need to get recharged each day, sometimes lasting only a few hours during use. The long-lasting battery in the misfit shine 2 puts it far above its competition. You can use it for months without having to worry about recharging anything. You simply replace the battery once it has run its course and get another several months’ use out of it with that one. LED Indicators – Twelve LED indicators light up around the rim of the device. The further you get into your routine, the more lights show up letting you know you’re almost finished. The color also changes from red to orange, and they blink to tell you when you’ve accomplished your goal. They continue to change to yellow and then green once you’ve reached and then surpassed your goal for the day. Vibrating Alarm – Rather than setting an alarm on your phone, you can set a vibrating alarm right on your fitness tracking device. You can use the app to set your alarm time and then feel the vibrations right on your arm when it does. It may come in handy for those who have trouble waking from noise and need motion instead. Tagging – If you want to make sure the tracker gives the more accurate information, be sure to use the tagging feature for any activity you complete. Finish your job, workout, time on the elliptical, or sporting event and tag what you just did afterward. It will help the device learn your patterns and motions for certain exercises so it can provide more accurate readings in the future. Color Variety – Not only is this device sleep in design, but it also offers color variety so anyone can get the style they desire. Choose between carbon black, pure silver, or rose gold for a look you’ll love. Do you want to know if you’re getting the best deal from your device? Take a look at what other customers have said about the product. Most have seemed to enjoy the Misfit Shine 2 and are happy to be consumers of the brand. Users rank the Misfit Shine 2 as the best fitness tracker thanks to its smart alerts and LED light indicators. If you sit around and watch Netflix for a while, the device will remind you that it’s time to get up and move by sending an alert notification. A particular light sequence plays while the vibration reminds you it’s time to get going. It also lights up when you touch it and changes colors when you have an activity in progress that you’re working towards completing, going from red to orange to yellow and finally to green. While the customer reviews are positive overall, there have been a few instances of naysayers. 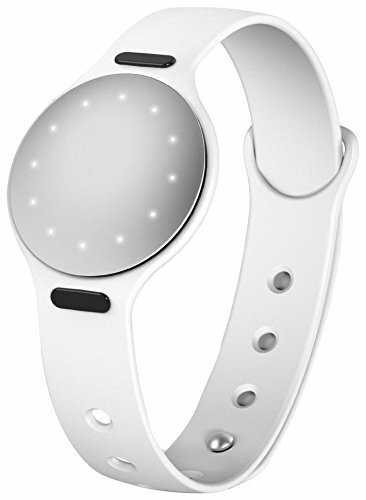 The device can sometimes pop out of the band, making it easy to lose. If you don’t make sure it’s clipped tight, you may have a problem with this occurring. Some have said their device has stopped pairing with their smartphone app as well, making it difficult to use. By restarting or re-downloading the app, many have had successful future attempts. Aside from the few customer critiques, the overall misfit shine 2 review has been positive. The minute instances of negativity often come with user error and first attempts. Give the device a try for a little longer and users overall indicate a positive outcome with a device they learn to love. With countless fitness trackers on the market, it can be hard to determine which is best for your lifestyle. The Misfit Shine 2 works well for those who want to enjoy the typical capabilities along with some additional features. Track your goals, watch your steps, have built-in GPS, all while getting to enjoy some waterside capabilities that not all options have. Use the SpeedoFit app to get insight on your routine and incorporate Speedo’s Aqualab results into your records. Everything is highly accurate thanks to the included technology and information. Complete your daily usage by looking at the app to receive insight reports so you can use the data included for a tailored fitness plan that best meets your goals and needs.